Published: May 2, 2015 at 03:32 p.m. The Carolina Panthers pick Auburn running back Cameron Artis-Payne No. 174 in the 2015 NFL Draft. 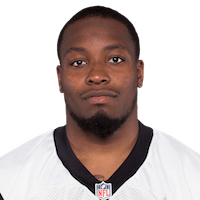 Published: April 7, 2015 at 09:32 p.m.
Take a look at the college highlights of Auburn University running back Cameron Artis-Payne. Published: March 11, 2015 at 01:30 p.m.
Watch Auburn RB Cameron Artis-Payne work out at the 2015 NFL Scouting Combine.